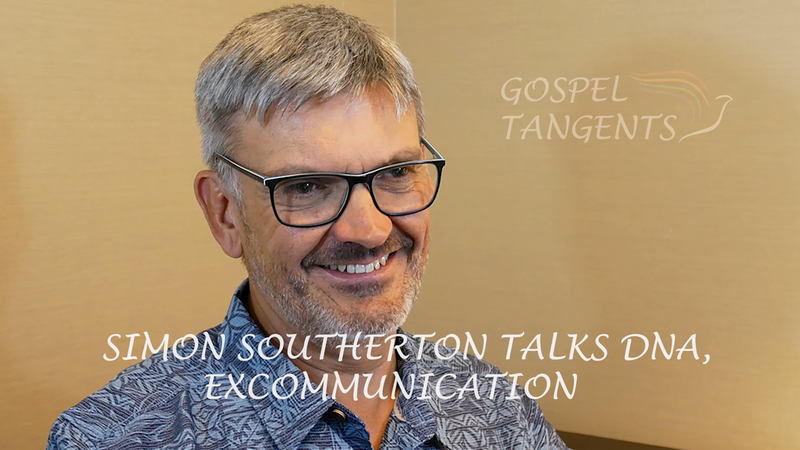 We’re continuing our conversation with Dr. Simon Southerton. We’re going to talk about vanishing DNA. Is it possible that Lehite DNA simply vanished from the Americas? Simon says no, but I’ll ask him about some other possible cases. We heavily reference our conversation with Dr. Perego. If you haven’t seen it, or have forgotten, I encourage you to check out our interview with Perego! 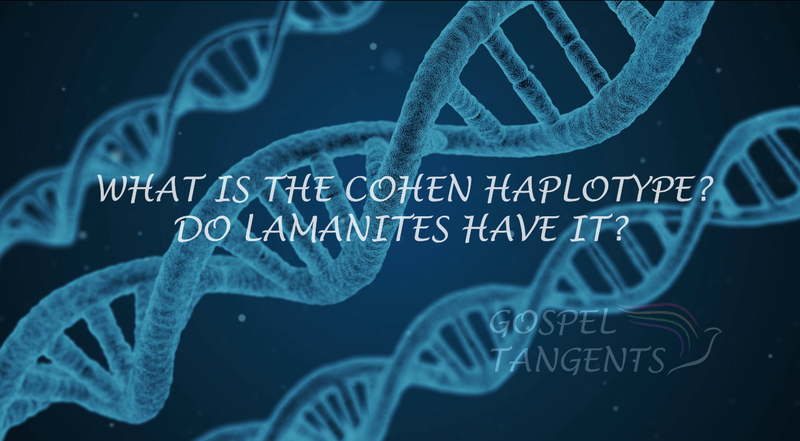 Check out our conversation…..
What is the Cohen Haplotype? Do Lamanites Have It? We’re continuing our discussion with Australian researcher, Dr. Simon Southerton. In this next episode, we’re going to dig into the science deeper. What is the Cohen Haplotype? We’ll also talk about the Lemba Tribe. Simon: All the Cohen is, is a particular Y-Chromosome which was present in the Lemba Tribe. Now this is a tribe, they look African. They are in Zimbabwe, which is what—is that its current name? Yes, I think that’s its current name. They had oral traditions that were Jewish. They built very significant stone-walled cities, but most scholars rejected the fact that they were Jewish. It’s not uncommon for native people all around the world to claim that they have got Jewish ancestry. The Polynesians loved the fact that they think they are Jewish, because it ties them into the sort of Christian world that they like. Anyway, it was rejected, and then they did the DNA work and they found that they have got a Semitic Y-Chromosome, in particular this Y-Chromosome which seems particularly common in the males of the priestly class, the Jewish priestly class. So, it just confirmed conclusively that there was Jewish DNA that arrived down there. How is that helpful for looking for Book of Mormon DNA in the Americas? Simon: Yes, it is a clear case of how DNA, even though it is a fairly small incursion of DNA, they have been able to track it. GT: Would you expect to find something similar in the Americas if that were the case? Simon: I didn’t expect to see every single Native American being a Jew, having Jewish DNA. I thought at least there had to be something. I don’t know what that percentage is, but we’re down now to nothing. Fifteen and a half thousand Native Americans have been tested, their mitochondrial DNA tested. It’s all Asian with a smattering of African, there is quite a lot of African DNA. Simon will talk about some of the newer DNA testing done on Native Americans, and why it doesn’t bode well for those searching for Middle Eastern DNA here. Don’t forget to check out our previous conversation with Simon, as well as Dr. Ugo Perego’s discussion on the Lemba Tribe. Check out our conversation…..
Cohen Haplotype is found among Jews. Is it found in Native Americans? What is the Lemba Tribe? Some Lemba live in South Africa also. DNA & Book of Mormon can be a very controversial topic. Last year we talked with Dr. Ugo Perego on this topic, and today we’ll get a contrasting point of view. Dr. Simon Southerton served as a bishop of the LDS Church until he found he could no longer reconcile the science with the story of the Lamanites. Simon: My name is Simon Southerton. I’m from Canberra, Australia. I am retired now from science really. I was a molecular geneticist with CSIRO for almost 20 years. I work up in the morning. I finally knew. I knew without a doubt that the Book of Mormon wasn’t history. It’s a great book filled with scripture and all of these stories. It never happened. There was never a migration of Jews to the Americas in 2000 B.C. or 600 B.C. All of my research over the last fifteen years has convinced me that conclusion is 100% correct. There is no evidence of Jewish DNA or Middle Eastern DNA coming into the Americas. Simon: It’s pretty compelling stuff for me, and this is my work. That’s my research area. I work with DNA. I’ve worked with it a long time and led research groups that work in population genetics. That’s another thing you’ll hear from apologists. Oh, he doesn’t know population genetics. It’s such a complex science. It is a complex science, but I work in population genetics. I’ve published in population genetics in leading international journals. When you work in the field and you understand the power, you know the full power of the research, it’s very compelling when you see that evidence. You just can’t ignore it. We’ll also talk in detail about his excommunication. I wasn’t very familiar with that, and I found Simon very candid. GT: Ok, well one of the reasons I wanted to talk to you at Gospel Tangents, I like to get a lot of different opinions. I interviewed Dr. Ugo Perego a few month ago, and you have a little different perspective on DNA and the Book of Mormon, so I wanted to talk to you a little bit about that. I know you’ve written a book. Can you tell us about the book? Simon: Yes, the book is called Losing a Lost Tribe, and I wrote that and published that in 2004. 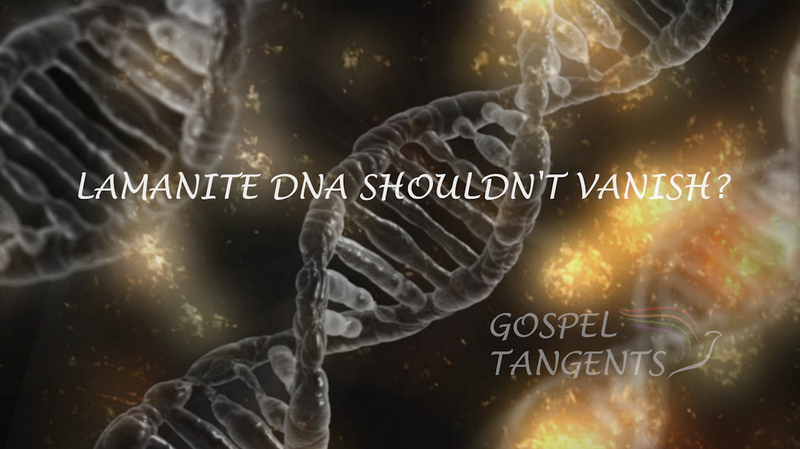 The impetus to write the book, I was not happy with the way the DNA science was being interpreted by church apologists. I thought that was a way of putting them right and correcting them. Simon: Everyone that knew me locally liked me, because they knew me. We had shaken hands. They had looked me in the eye and knew that I was a good bloke. But then area leaders wrote to me: Vaughn J. Featherstone wrote to me, and the whole letter was just designed to scare me back into the church. He hadn’t even spoken to my stake president. All he heard was rumors around the grapevine. The bishop in Brisbane had left the church evidently. GT: But you hadn’t left the church. You were still going to church. Simon: No, I hadn’t left the church. I was aware of the fact that I probably would. I received it [the letter] while I was still a primary teacher. I mean, what do you do when you’re the bishop and you don’t believe the Book of Mormon is true? How can you function as a bishop when you’ve got the keystone of the Mormon religion and you don’t believe it ever happened? It wasn’t appropriate for me to be a bishop, so I did the right thing. Anyway, he wrote this three-page letter, and so I wrote him back and I told him off. I didn’t rebuke him. I just said it was inappropriate for him to write without talking to my stake president and finding out really what was going on. He wrote back a letter and apologized, and then gave me more warnings about how life would turn out. So yes, it has been a tough ride leaving the church, and this is what many members of the church don’t realize. It’s a very painful process to leave the church. In fact, during that process, about five years after we left, I was separated from my wife, and then we got back together and we’re still together and are very happy. It’s just been getting better and better. Dr. Simon Southerton talks about his controversial book, “Losing a Lost Tribe,” and details why he left the LDS Church. What are your thoughts? Check out our conversation…..
 Commonwealth Scientific and Industrial Research Organisation – is an independent Australian federal government agency responsible for scientific research.